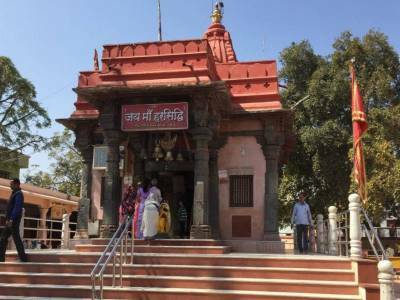 One of the most revered temples of India, Harsiddhi Temple is located in Ujjain just a mere 350 m away from the temple of Mahakaleshwar Jyotirlinga. The temple is just across the Rudra Sagar Lake and is one of the major Shaktipeeths of India out of the existing 51 of them and it is one the top 13 Shaktipeeths shrine among the 51 Shaktipeeths of Mata Sati. The temple has a decorated story and legend doing rounds. It is said that Goddess Parvati herself came forth in the form of Harsiddhi to kill the two demons who were terrorizing the peace. Her form was behest by Lord Shiva himself. Furthermore, when Goddess Parvati had gone into the sacrificial fire, Lord Shiva carried her body and her elbow fell here. That is how the temple came into existence. The Harsiddhi Mata was titular deity of great king Vikramaditya. The king Vikramaditya used to worship Devi Harsiddhi and dedicated his head around eleven times in the feet of Mata Harsiddhi but the divine mother again brought him to life. The king Vikramaditya was the emperor of Ujjain who was known for his intellect, valour and nobleness. 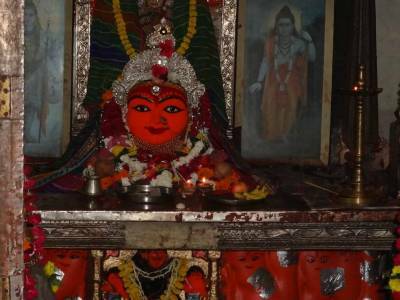 The temple has the main deity as Harsiddhi Mata, who is painted in colors of dark vermillion and is placed in the middle of a large temple complex area. 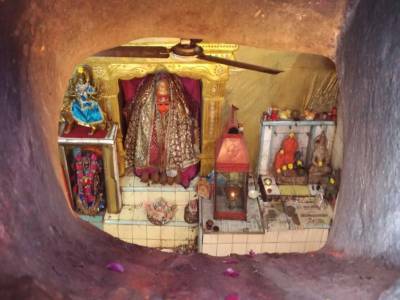 It also has idols of Maha Saraswati and Maha Lakshmi alongside the Harsiddhi Mata. The temple also has Shree Yantra which is one of the nine forms of Durga. 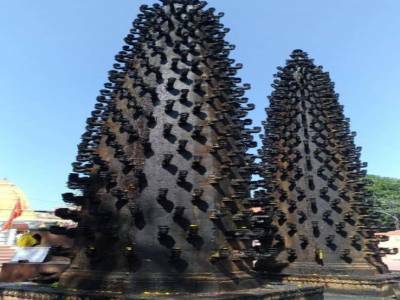 It was re-built during the Maratha Period and has two unique pine shaped iron lampstands in the courtyard with 726 lamps. The 9 day Navratri festival is the Major festival celebrated in the Harsiddhi Mata Temple and that time temple is decorated with flowers and lights. The temple is easily accessible via roadway and also caters to accommodation to visitors if needed. 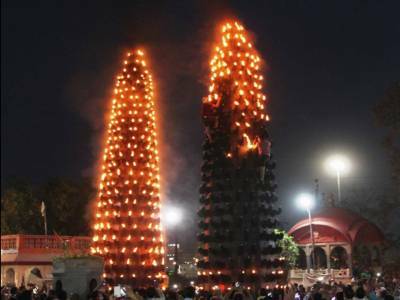 Get quick answers from travelers who visit to Harsiddhi Temple.